When I tried Field Notes journals a few years back I didn’t like them; the paper wasn’t fountain pen friendly so I gave them away and that was that. Recently, I saw a friend’s vast collection of limited edition Field Notes and realized that I couldn’t live without them. Beyond the journals I have ventured out into some of their other products which brings me to the Field Notes 18-Month Work Station Calendar. The calendar features the same Futura Bold font as the journals and the chipboard backing has the typical sort of campy/amusing signage you expect from Field Notes. For example, it states “No maintenance or special tools required.” As the name suggests this calendar has 18 months starting November 2013 and ending with April 2015. 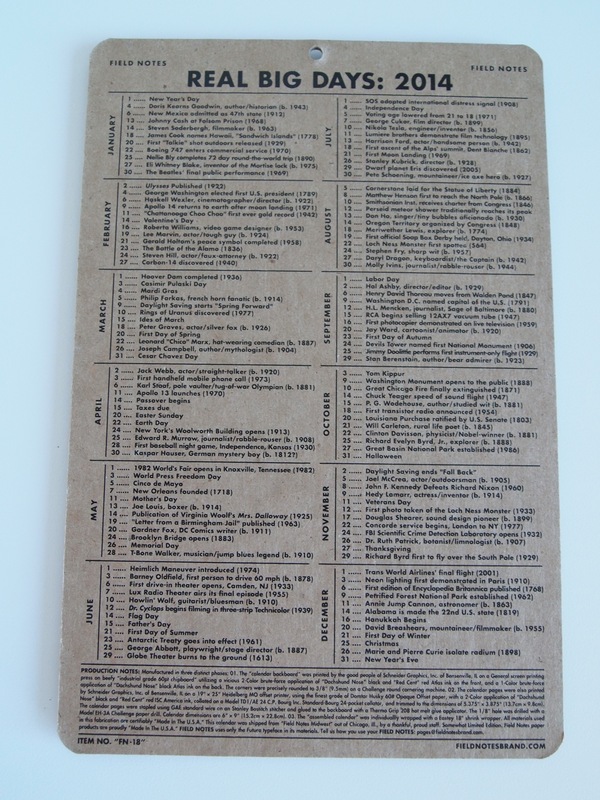 The back also lists details about what was used in the manufacturing process. The calendar itself is very simple; the only real features are moon phases and holidays. There isn’t much space to write in the date boxes so like the Field Notes journals you would buy this more for looks than for function. 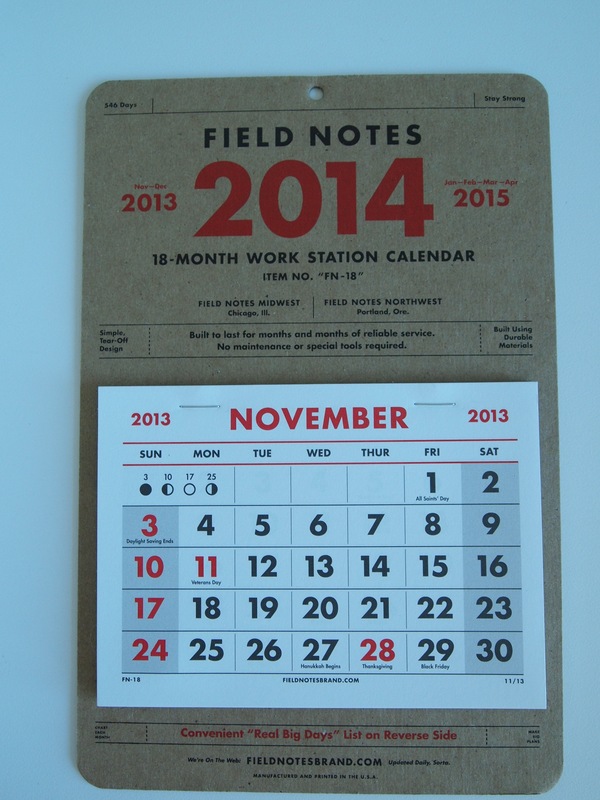 The Field Notes 18-Month Work Station Calendar looks great and I am excited to use it at my desk.